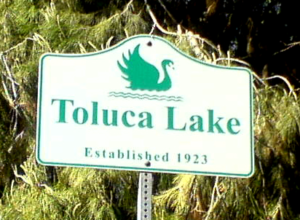 Toluca Lake is a neighborhood in the city of Los Angeles located in the San Fernando Valley region of Los Angeles County, California, 12 miles (19 km) northwest of Downtown. The name is also given to a private natural lake which is fed by the Los Angeles River and maintained by neighboring property owners. Like most outer-Los Angeles neighborhoods, Toluca Lake functions as a separate entity, with its own post office, ZIP code, and downtown area. A small part of Toluca Lake spills over into nearby Burbank. John Steiner is a seasoned real estate veteran, top-producing agent, new agent trainer, and professional lecturer who is passionate about “everything real estate”. He averages 35 closed transactions a year, selling properties from the Westside to the Silverlake Hills.